DIY Outdoor Kitchen Solution - 4 Life Outdoor Inc.
Don’t let the high cost of stone work deter you from your dream outdoor space. 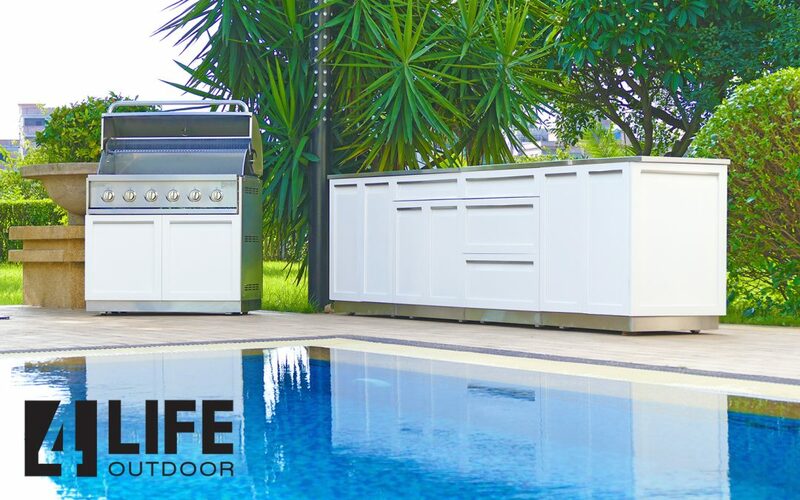 4 Life Outdoor kitchen cabinets are a simple solution to your outdoor kitchen dreams. The cabinets come fully assembled and delivered, for free, to your home’s curbside. All you have to do is place the cabinets where you want them and affix the cabinets together! It’s the DIY outdoor kitchen solution.